Plans to build a second phase of the HS2 rail link have suffered a new blow with the announcement that the managing director for Phase 2 is to leave for a job in Canada. The news follows confirmation that the legislation needed to pave the way for Phase 2b of HS2 – from the midlands to northern England – is to be put on hold for a year. 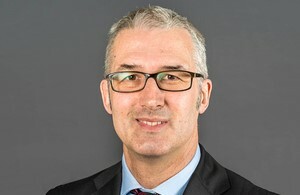 Paul Griffiths (pictured) will leave at the end of December to become program director on the $40 billion Metrolinx program in Toronto, HS2 Ltd said. Mr Griffiths joined in 2015 and has been responsible for working with central government and local stakeholders to plan and develop the route for Phase 2. HS2 Ltd CEO Mark Thurston said that Phase 2b is well advanced in terms of its preparation for Parliament, ‘particularly how it integrates with the existing network and the plans of Northern Powerhouse Rail’. ‘Phase 2 has come a long way under Paul’s leadership. Phase 2a, the section from Birmingham to Crewe, is already in Parliament and is on course to receive Royal Assent next year,' he said. HS2 Ltd said plans are ‘in train’ to find Mr Griffiths’ successor.